Will you help us? We always need extra hands. Please go to the Contact Us page and let us know what your skills and interests are. Someone will contact you. Open spaces collect trash or are treated as dumping sites. Help us clean them up. We will post the dates of cleanups as we organize them. We provide gloves, grabbers, and bags. We meet every Friday morning at Farm Creek for invasive removals, planting in our shade garden and wildflower and milkweed gardens. Trail Guides. Field trips for 4th graders take place in April and May. and small groups of children are taken around our Schoendorf Preserve at Farm Creek, introducing them to open space, estuary adaptation, and many other concepts. Volunteer trail guides are trained by us and are necessary for the success of this program. We publish two newsletters, a holiday card, and other mailings. For hard copy material, we need help labeling, stuffing, and addressing. We’ll have a table that needs manning at several events this spring and summer. 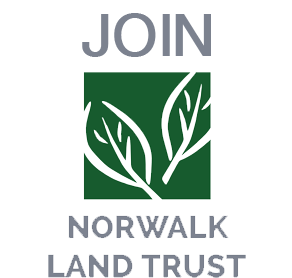 The Norwalk Land Trust is an all volunteer organization. We have a volunteer Board of Directors. These volunteers donate much time and expertise to furthering our goals. For specific fund-raising campaigns, volunteers join us to help raise the dollars, and the awareness which is so necessary for success.